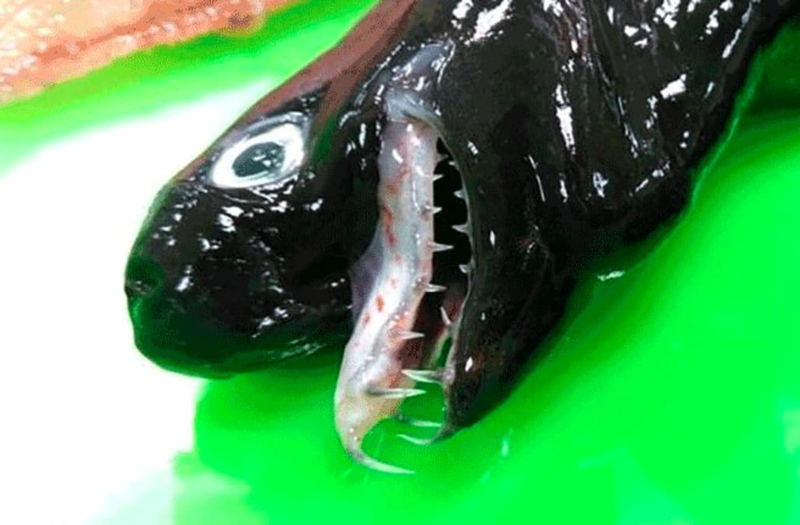 Researchers working off the coast of Taiwan are reported to have inadvertently netted five rare, glowing sharks, notes Earth Touch News. Called viper dogfish, the sea creatures are known for their spindly teeth, extendable jaws, and the ability to light up in the dark. While their appearance certainly leans menacing and creepy, they are not considered a threat to humans. One reason is that they are relatively small, growing to a maximum length of roughly 20 inches. Another is that they tend to gather where people don’t—in the inky depths of the ocean. The sharks have only been known to science since the mid-1980s, and few have been spotted in the time since. They are known to occupy the waters near Taiwan, Hawaii, and Japan. The ones recently captured are believed to all have been dead when pulled in, though there are some reports that one was alive and passed shortly after.